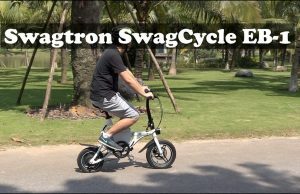 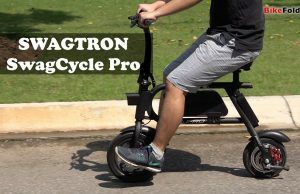 Allen Sports started producing folding bikes a couple of years ago and some products I reviewed earlier have higher price tag than Dahon or Tern bikes. 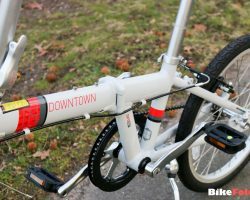 If you love the brand but couldn’t afford those high-end folders, you can opt for Allen Sports Downtown, the cheapest folding bike from the manufacturer. 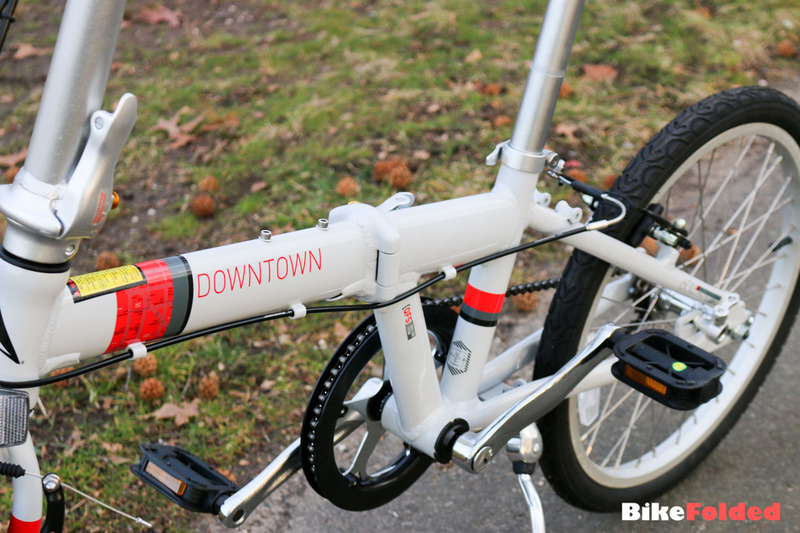 Although the Downtown is the cheapest bike of Allen Sports, it is still equipped with some neat features found on their high-end bikes, for instance, the patented press-link folding system or press release rear wheel lock. 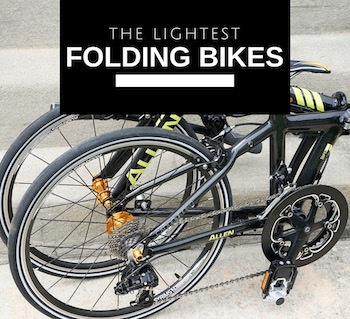 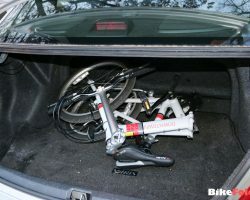 Therefore, you can fold the bike within 15 seconds. 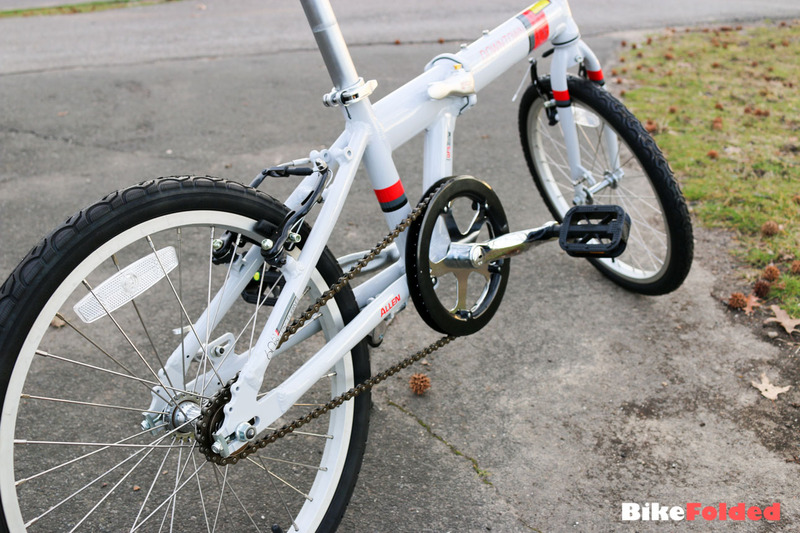 Unfolding is even faster because the hinge levers can be snapped onto the frame effortlessly. 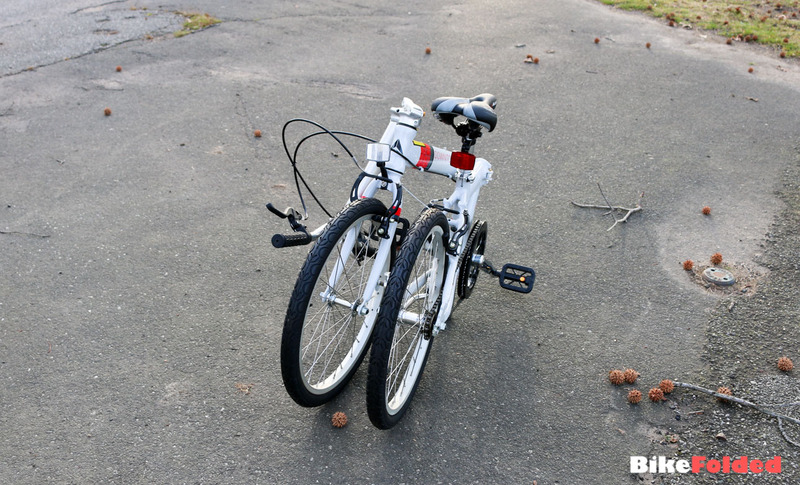 The rear lock keeps 2 wheels together and also helps me roll the bicycle like a trolley. 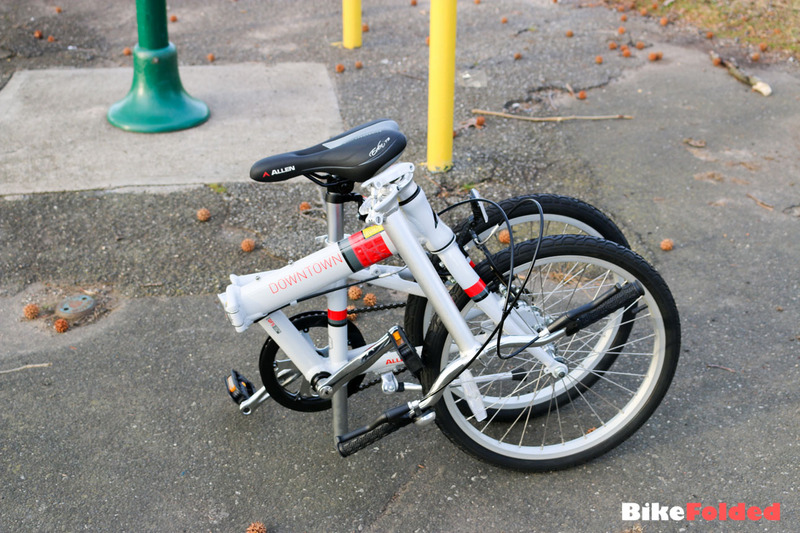 My only complaint is that the handlepost is folded out of the 2 wheels and there is no mechanism to secure the handlepost, so it is a little bulky and the bike can fall down quite easily in folded position. 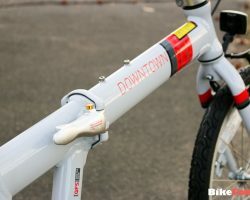 When it comes to riding experience, the Allen Sports Downtown delivers exactly what I expected from a single-speed bike. 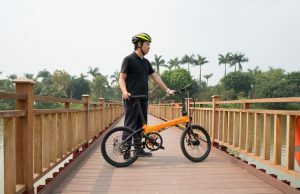 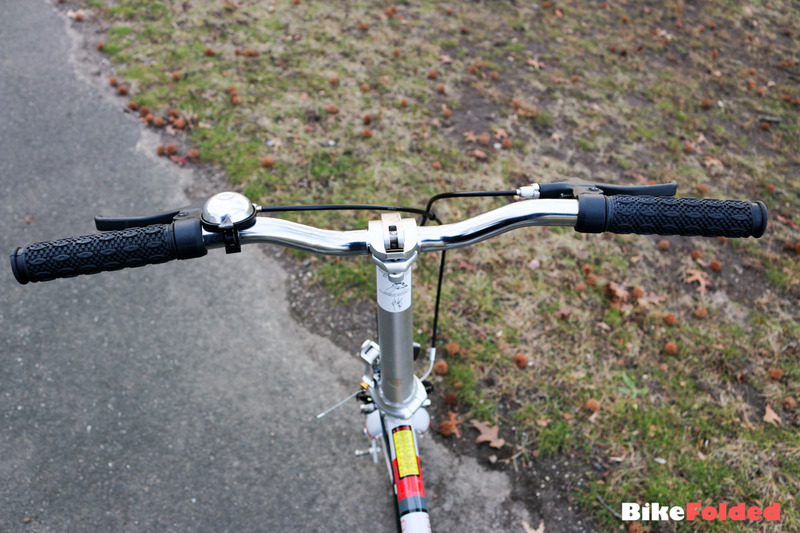 This will be more suitable if you are living in urban areas because 1 speed is sufficient on crowded streets, the bike is quite lightweight to pedal and the drivetrain doesn’t require much maintenance. 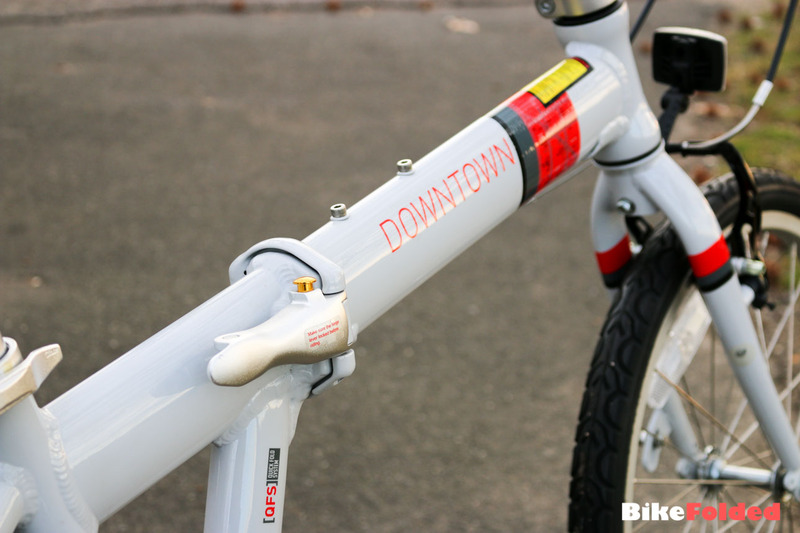 Obviously, the Downtown has some compromises due to the low price, it is not as lightweight as other Allen Sports bikes, it doesn’t use 451mm wheels and folding pedals. 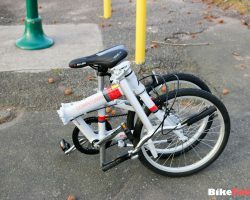 However, I believe this is the best single-speed folding bike at the low price range. 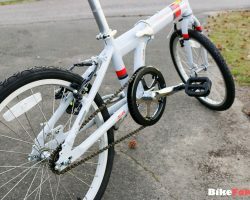 You can’t buy such a beautifully designed bike with a sturdy and lightweight frame, and fast folding/unfolding mechanism. 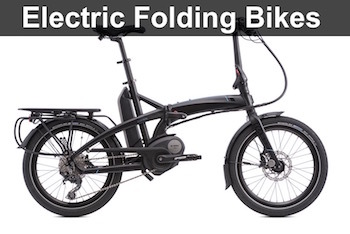 Bulky when folded and might require a strap. 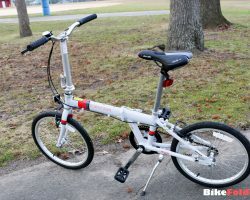 As mentioned earlier, the Allen Sports Downtown has no competition in the low price range, I totally recommend the folding bike. 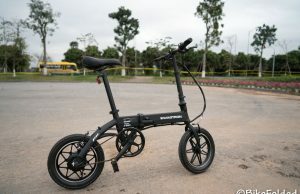 Moreover, you can find it on sale quite often, don’t hesitate to buy it when the price drops below $300. 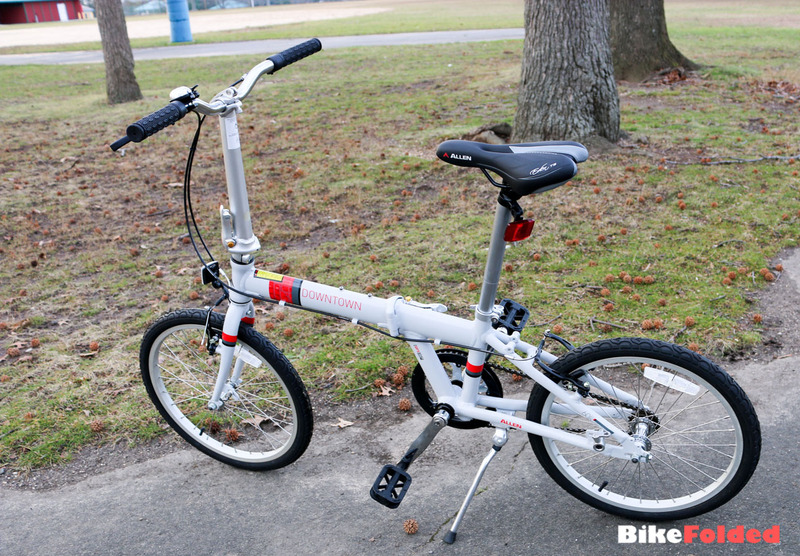 A cheap folding bike for Allen Sports fans. 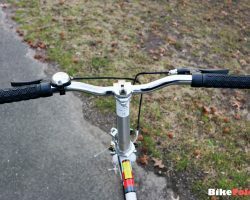 The thing I like about Allen Sports’s two low-end single-speed bikes (the Urban and the Downtown) are that they use front and rear rim brakes rather than a rear hub/coaster brake and an “optional” front rim brake. 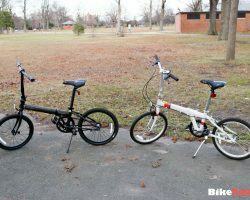 Although MSRP for both of these bikes is equivalent to the Dahon Speed and Mu Unos, the real-world price at Amazon tends to be much lower than the MSRP or the real-world retail price of the two similar Dahon bikes. 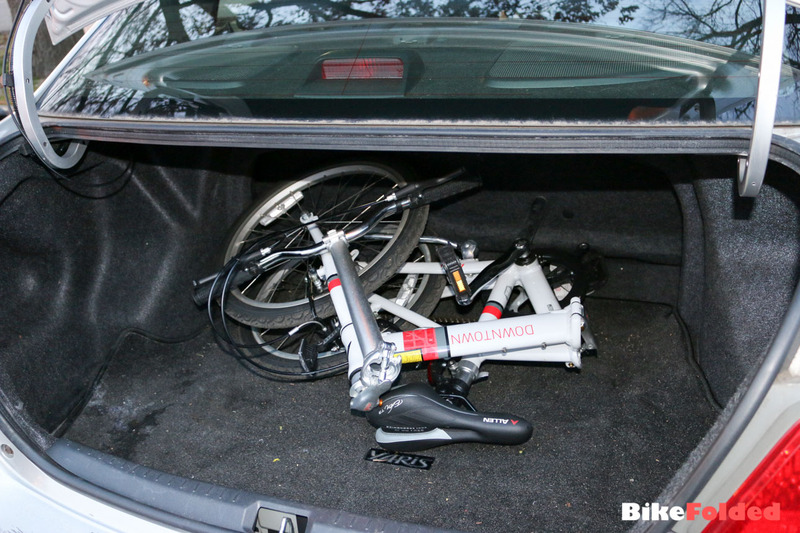 I don’t see any of my local (NYC) bike shops carrying the Allen Sports folders which is too bad because I prefer to buy from local bike shops rather than online. 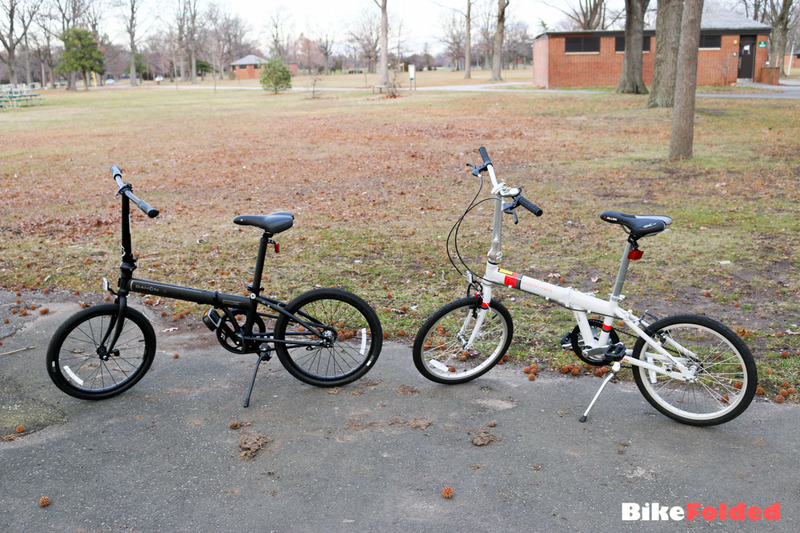 Yes the Allen Sports bikes are cheaper than equivalent single-speed bikes of Dahon. 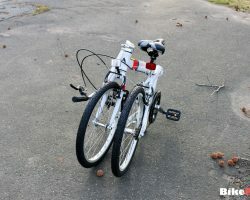 I contacted NYCeWheels but they don’t plan to carry the bikes anytime soon. 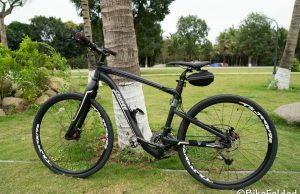 The Allen Sports bikes are available on Amazon only, I got mine there and you can always return it if there is any issue.